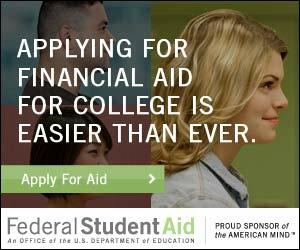 File your FAFSA over Thanksgiving! A friendly reminder: Thanksgiving Break may be a good time to complete your 2018-2019 FAFSA application. The FAFSA, Free Application for Federal Student Aid, is the online Federal application PCA&D and most colleges use to determine financial aid. It's also required for federal student loans. This is just a friendly reminder to all students returning for the next academic year and new students, that the 2018-2019 FAFSA is now available. Thanksgiving Break might be a good time for you to get this out of the way. Please remember this is a FREE application, if you find yourself being asked for credit card info etc, you are not on the correct site. If you have a FAFSA from the current or earlier years, Log in under “Returning User” and choose the 2018-2019 academic year. You will be reporting 2016 federal income and tax information. You do not have to wait for 2017 taxes they only want 2016 Federal income tax information. Returing PCA&D students: please try to file your 2018-2019 FAFSA by December 1, 2017. Returning student financial aid award letters will still be sent starting in early May as we still need to check for academic progress prior to awarding. (This is not for the upcoming Spring 2018 semester, this is for your next academic year 2018-2019 (Fall 2018 and Spring 2019). If you have any questions, please ask. Dave Hershey, PCA&D's Director of Financial Aid can be reached at 717-396-7833 X 1013 or dhershey@pcad.edu.